In May 2010, the United States Government started officially taking more interest in the Lord’s Resistance Army conflict that had ravaged Central Africa, and in particular northern Uganda, for 24 years. President Barack Obama signed into law the ‘Lord’s Resistance Army Disarmament and Northern Uganda Recovery Act’. Nearly one and a half year later, President Obama decided to deploy 100 combat armed military advisors to the areas affected by the LRA in the scope of this act. JiC has reported about this deployment in the past here and here. The deployment was pushed into the public spotlight with the publication of a hugely popular but also heavily criticised video produced by the NGO Invisible Children that called for the arrest of Joseph Kony in the scope of its KONY2012 Campaign. A couple of months into the US deployment it is of course not possible to really assess its impact comprehensively, but some of its prospects and weaknesses can and should be analysed. First, let’s get some of the facts straight. One of the reasons for this deployment was the consistent civil society pressure in the US, directed by organisations like Invisible Children. But another important motivation for the deployment was the strategic importance of Uganda to the United States. Oil had been recently discovered in the country and the Ugandan army provides many soldiers for a strategically important Peacekeeping Mission in Somalia. It is often overlooked that many of the military advisors ‘deployed’ were already stationed in the area before the deployment and that the troops are advising the armies in the region, but not taking part in combat operations. Catching Kony thus mainly depends on the capabilities of the local armies, among which the Uganda People’s Defence Force (UPDF) is clearly the most competent one. Furthermore, catching Kony will not be easy. The LRA operates in an area the size of the US State of Arizona or half the size of France. Within this area the LRA moves in small groups of 10-15 persons. UN sources have told me that the LRA groups manage to move up to 50 km per day, an impressive feat considering the dense jungle area. Military operations have so far failed to stop the LRA. Unfortunately, past operations did not manage to control the LRA threat. Rather, they provoked retaliations and civilian casualties. During the UPDF led offensives to stop the LRA in northern Uganda and southern Sudan (now South Sudan), the LRA managed to outmanoeuvre the UPDF and spread the conflict consecutively to previously peaceful parts of the north and eventually even to eastern Uganda where civilians bore the brunt of the fury of the LRA. Additionally, military attacks on the LRA are likely to kill mainly freshly abducted civilians, among them children. While LRA fighters are experienced enough to disperse quickly into the dense jungle in the case of an attack, the abductees who move with them are often forced to carry looted goods and are tied together with ropes to prevent escape. Those civilians are unlikely to escape in the event of an ambush and are often accidentally killed by soldiers or attack helicopters. After eluding the UPDF forces, the LRA embarked on a killing spree in north-eastern DRC, killing 865 people in between December 2008 and January 2009. The LRA then killed another 321 civilians in DRC around Christmas 2009. Will the current deployment fare any better? The Congress has now approved 35 million USD for the Pentagon to use in its LRA operations. This is not a lot but could make a real difference according to Enough, an NGO advocating to stop human rights violations. According to Karl Wycoff, the US deputy assistant secretary for African affairs, this money is used for funding, inter alia, some airlift, fuel and other transport support for their troops. 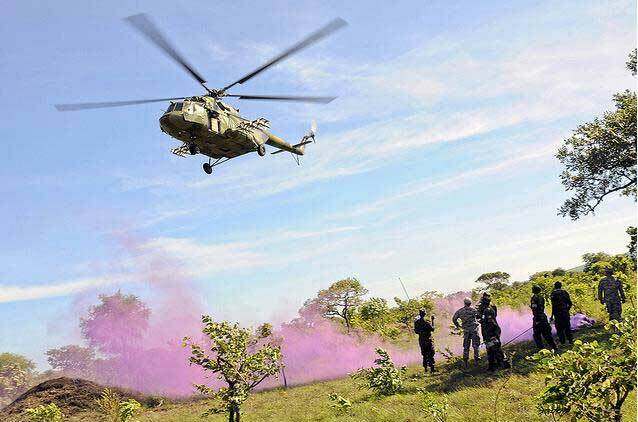 The US also trained and equipped a Congolese battalion that is now operating in LRA-affected areas of the DRC, and has deployed an US C-12 reconnaissance aircraft codenamed ‘Tusker-Sand’ that flies over the battlefield almost daily to boost information gathering. Most of the US advisors are stationed in Uganda, many of them in the capital Kampala, far away from the areas currently affected by the LRA. Yet, about 20 to 30 of them have been deployed to the field. It was recently reported that US troops had set up a base in Obo, in the southwest of the Central African Republic. The deployment was greeted by hopeful villagers and the US troops have built a bigger broadcast tower for the local radio in order to more efficiently warn civilians about attacks and reach potential LRA deserters with radio messages. 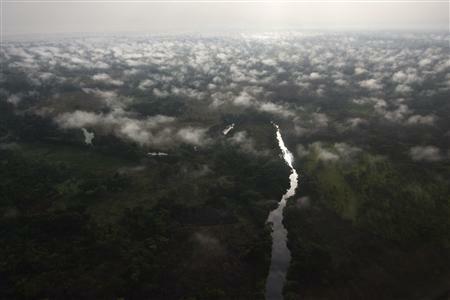 There have been reports that the US efforts to support the hunt for the LRA have had some impact. The UPDF claimed that LRA abductees are starting to starve as the LRA cannot steal any more food due to the manhunt. According to the LRA Crisis Tracker, run jointly by Invisible Children and Resolve, LRA killings were reduced by 78 per-cent from 654 to 144 and abductions were reduced by 47.3 per-cent from 1,130 to 595 in 2011. Over 75 per-cent of this reduction happened during the second half of the year, reason being both a meeting of the LRA commanders organised by Joseph Kony in late summer, as well as – presumably – the US deployment in October. Indeed, the months October to December 2011 figured among the months with the lowest number of LRA attacks recorded by the Crisis Tracker. Where have all the helis gone? US and UPDF troops wait for an airdrop by a Ugandan military helicopter. The hunt for the LRA suffers from the lack of transport helicopters. Still, problems with the military approach persist and there are signs that the LRA is already adapting to the US deployment. The operations of the armies of DRC, CAR, South Sudan and Uganda suffer under the lack of transport capabilities to react quickly to LRA attacks. Helicopters are urgently needed. Further, the number of UPDF troops in the region who are the most efficient in fighting the LRA was halved between 2010 and 2011 as Uganda stepped up its commitment in Somalia. All the while the DRC started refusing the UPDF to have bases and to operate within the DRC in the run-up to the Congolese elections. Finally, the military operation still does not offer potential LRA defectors a way of surrendering safely, as IRIN recently reported. These weaknesses offer the LRA some leeway to adapt to the military pressure. Indeed Enough reports that Kony remains confident that he can beat the US deployment and LRA returnees have claimed that the LRA is not feeling any additional pressure since the US troops arrived. Kony has adapted to the better intelligence gathering capabilities of the US and has largely stopped using satellite phones or mobile phones for communication. He now uses runners to deliver messages and satellite phones are only used seldomly, by single persons who move some kilometres away from the main group before using it. Apparently LRA attacks in the DRC have increased remarkably during the first quarter of 2012. This is an indication that the LRA is again skilfully dodging its enemies to hit civilians in badly protected areas. It seems like Joseph Kony is taking advantage of the fact that his most dangerous enemy, the UPDF, cannot currently operate in the DRC while the soldiers of the Congolese Army, the FARDC, are neither equipped nor motivated to protect the dispersed villages in the DRC. The presence of one US trained battalion cannot make a huge difference in the bigger picture. The planned deployment of a 5,000 strong joint African Union (AU) brigade under Ugandan command that was reported recently might help to solve some of the issues with the current military approach, especially the fact that large parts of the DRC remain largely unprotected. If the neighbouring countries coordinate in closing the loopholes that the LRA is exploiting, there might be some hope to stop the LRA militarily. Yet, the lack of helicopters and the lack of an efficient strategy to facilitate LRA defections continues to hamstring efforts. On a side note, the idea of a joint AU brigade is nothing new, even though some have wrongly reported or implied that its creation was a result of the KONY2012 Campaign. UN sources confirmed to me that these plans existed during interviews in October 2011 and they were sceptical whether the approach could be successful or would just amount to a huge waste of money. The main argument against a joint brigade was the difficulty in coordinating members from four different national armies. 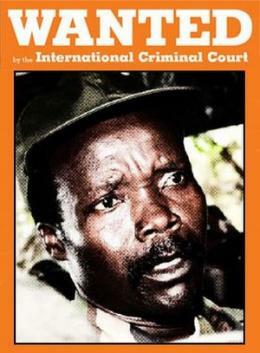 Interestingly, some of my contacts suggested that it might be a lot more efficient – and cheaper – to offer an interesting sum as a bounty for the capture of Kony and wait until local groups that cooperate with the LRA provide information about his whereabouts to ‘cash up’. This suggestion was recently echoed by Enough. The organisation suggested that the US Rewards for Justice Program that offers bounties for the capture of war criminals, terrorists and drug barons should be expanded to cover Kony and his commanders. This entry was posted in Advocacy, African Union (AU), Central African Republic (CAR), Democratic Republic of Congo, Lord's Resistance Army (LRA), Southern Sudan, Uganda, United States, War crimes and tagged CAR, CENTAFRICA, DRC, FARDC, Garamba, Joseph Kony, Kony, KONY2012, Lord's Resistance Army, LRA, Makombo massacre, Obo, Operation Lightning Thunder, South Sudan, stop Kony, Uganda, UPDF, US deployment, US LRA Disarmament Act, Vincent Otti. Bookmark the permalink.